It was Thanksgiving Day 1897, when the sudden cry of ‘fire’ was heard. It was then that the M&M establishment owned, operated and paid off in full by Pete McDonald that same day, was discovered to be on fire. Within a short time of that sudden cry the building had burned to the ground and its destruction was closely followed by the neighbouring Opera House. In just one night, the fire had wiped out the center of town and left nothing but a desolate wreck of charred ruins to mark the place where but a few hours before an immense throng of people had gathered to spend the night in the hilarious enjoyment only to be found in a mining camp. This fire drew the attention of the citizens of Dawson to the necessity of having an organised fire brigade, and much controversy ensued among the businesses of the city as to the possibility of forming a regular fire brigade. After many lengthy meetings and the formation of a committee, funding was secured for a fire steamer apparatus. 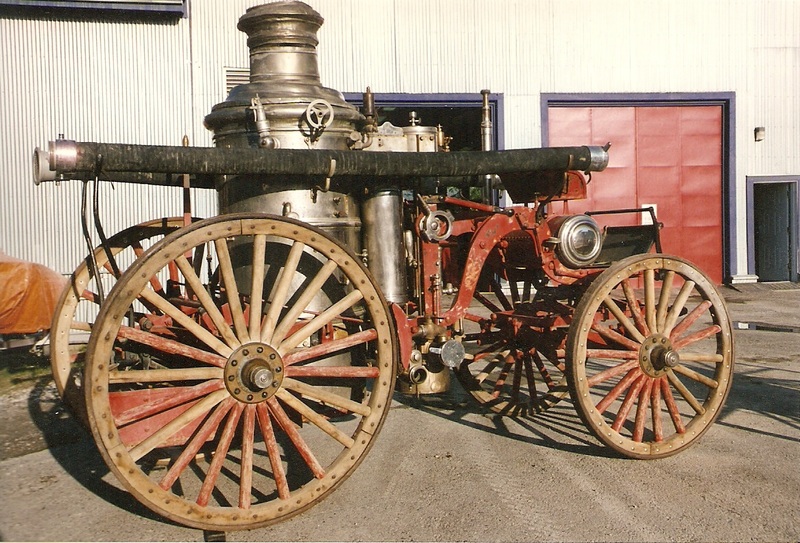 The steamer was delivered to Dawson on the 16th of July 1898 and on October 19th the Dawson Fire Brigade went into permanent organization. 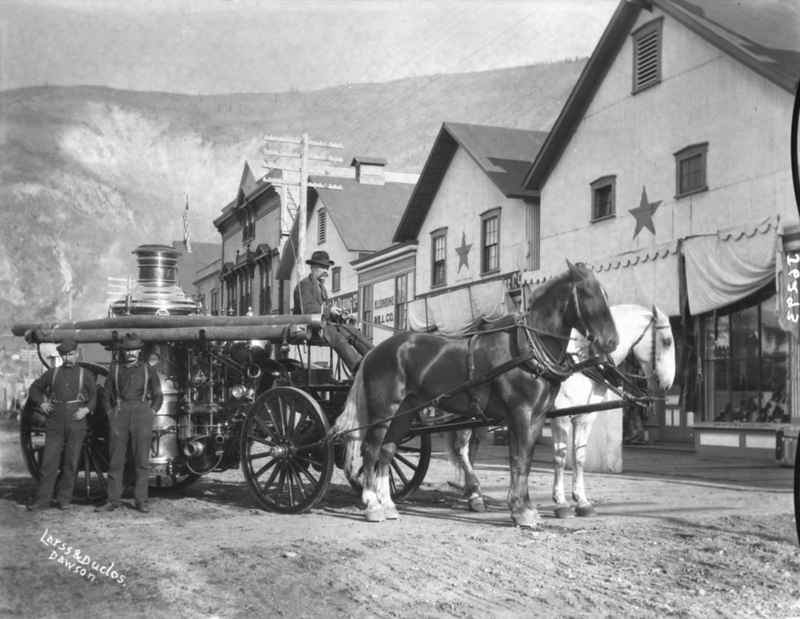 To this day, the Dawson City Volunteer Fire Department continues to protect the City of Dawson at a moment’s notice. With over 115 years of service, the Dawson City Fire Department is the oldest Fire Department in the Yukon. During our existence, we have acquired and used many different vehicles and pieces of equipment. In recent years, we have strived to maintain and preserve our history for all to see. Artifacts and vehicles that were reallocated to other individuals for various purposes have been painstakingly tracked down and re-acquired, so as to be restored and put on display.